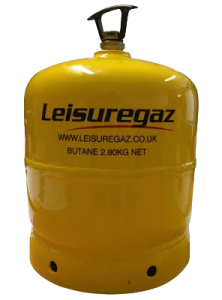 Leisuregaz was founded by the directors of a successful LPG company, who spotted an attractive gap in the Camping Gas market. With their vast knowledge and 25 year experience in the LPG industry they took action with one goal in mind: To supply a cheaper camping gas cylinder alternative. From this the 007 Leisuregaz Camping Cylinder was born. We plan to achieve our goal by supplying our dealers with fantastic prices, which we will ensure get carried on to end-users and provide customers with a low cost Camping Gas Cylinder option. We are in the process of expanding our dealer network across the whole of the UK, with the aim of making it as cheap and as simple as possible for customers to pick up our 007 Leisuregaz cylinders. Our yellow cylinder is refillable and promises to keep the original functions and quality of the current blue bottle in the market, whilst being considerably cheaper. Its universal fitting will ensure that it is compatible with all existing accessories and regulators designed for refillable camping gas bottles. The cylinder is intended for regular or extended use and is equipped with a safety valve that can be unscrewed from the appliance, even when the bottle is not empty. The cylinder is also zinc coated, meaning it won’t rust unlike the original bottle, and help to keep fantastic quality throughout its lifetime. When you bring your empty bottle back to any of our dealers, you’ll get a full cylinder for the reduced refill price!